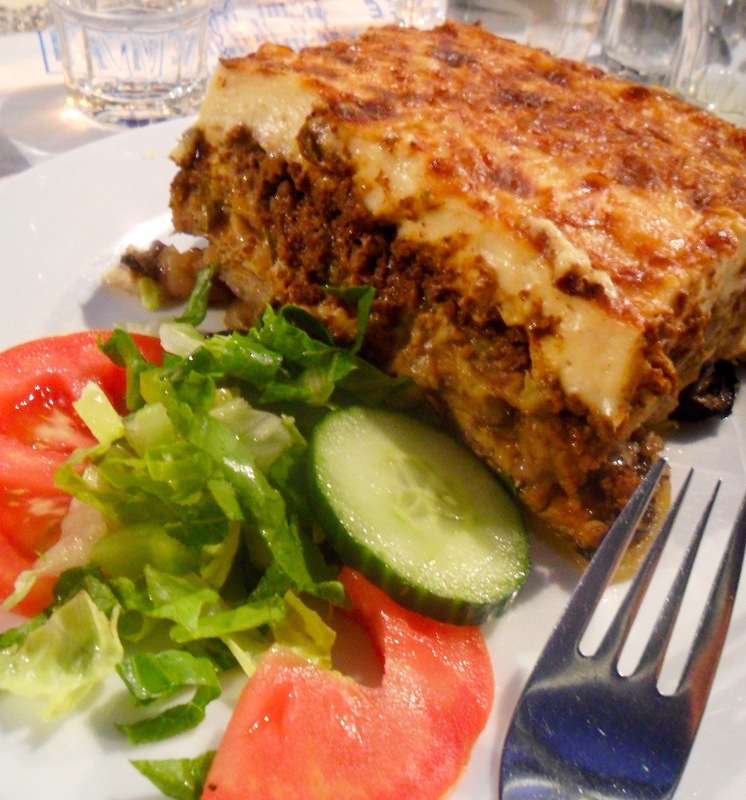 For any of my regular followers, it will come as no surprise that I’m putting a Greek recipe up today. For any newcomers, I’m a quarter Greek but like to think of myself as entirely Greek. That about sums up the background information you need to know. Now, my cousin makes an absolutely mean Greek Chicken. This is a dish that I would generally describe as: chicken oven roasted in a heap of tomatoes, olive oil, garlic and herbs. I was keen to discover my own recipe for the marvel (I should have just started experimenting…), and in my search I stumbled across this recipe. It isn’t quite the same, but is also absolutely delicious. I call it “Fancy” Greek Chicken, because it’s not quite as homely and messy as most Greek food. Still a fantastic recipe though and well worth a try. 1. In a small bowl make a marinade out of the the lemon juice and zest, wine and oregano. Season, and pour over your chicken. Cover and marinate in the fridge for a couple of hours ideally. 2. Heat the olive oil in a pan. Remove the chicken and place them in the pan. Cook the chicken, turning only once about every 5 mins, until they are lightly browned on both sides. Then take them out of the pan. 3. Add onion and chopped toms to the now-chickeny pan (yum!) Cook gently for 5 mins or so, then add the garlic and the reserved marinade that the chicken had been swimming in only 20 minutes ago. Bring this sauce to a boil and simmer until the liquid has reduced a little. Feel free to season some more. 4. 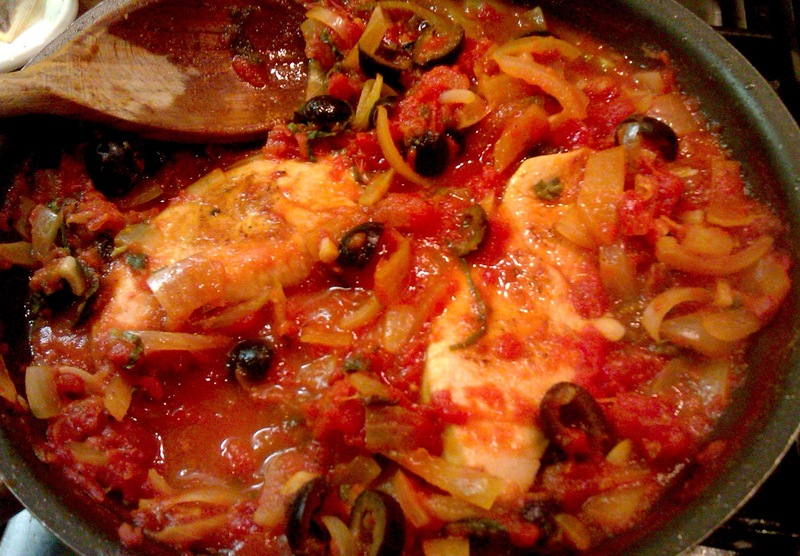 Return the chicken to the pan, add the olives and the basil and let it all stew away for between 5 and 10 minutes. Remove chicken and sauce, and serve with feta place on top. Try it and let me know your thoughts. Also let me know if you think you have a superior Greek chicken recipe! I have just returned from a blissful, albeit brief, Greek holiday with my family and wanted to share some thoughts and feelings on Greece and the food that makes it one of the best countries in the world. My grandmother was Greek, making my brother and I (and our cousins) a quarter Greek. However, I (and the rest of my family) feel entirely connected to the country as if I was born and raised there. In a very small way, I have been. I’ve travelled there every summer of my life except two, and at home in England my family always say goodnight to each other with the greek word “kalinikta”. We feel a very strong bond to the nationality. We love the people, we love the language, we love the landscape and most of all we love the food. It is the food of the Gods, and it is delicious and nutritious as well! A friend of mine once dared to tell me that she didn’t really like Greek food, and when I questioned her further she said she just really disliked cooked tomatoes. If that is the case, you sort of are stumped! However, there is also all the amazing fish they cook in Greece. An ongoing joke amongst my family is that when you arrive at a taverna and try to order, they will most likely have none left of most of the dishes (there is a ramshackle, “serve-just-what-we-happen-to-have-prepared” attitude to Greek eateries), but they will always have “feesh on de greel” (rough translation: fish on the grill). Now let’s begin with breakfast in the Evans family: Melon and/or peach with lashings of Greek yogurt. For those who haven’t been to Greece, the most common yogurt brand there is Total, which we get here in England too. So there is no excuse to skimp on a Greek diet even at home. Total is the real deal, and it tastes like a holiday in a tub! 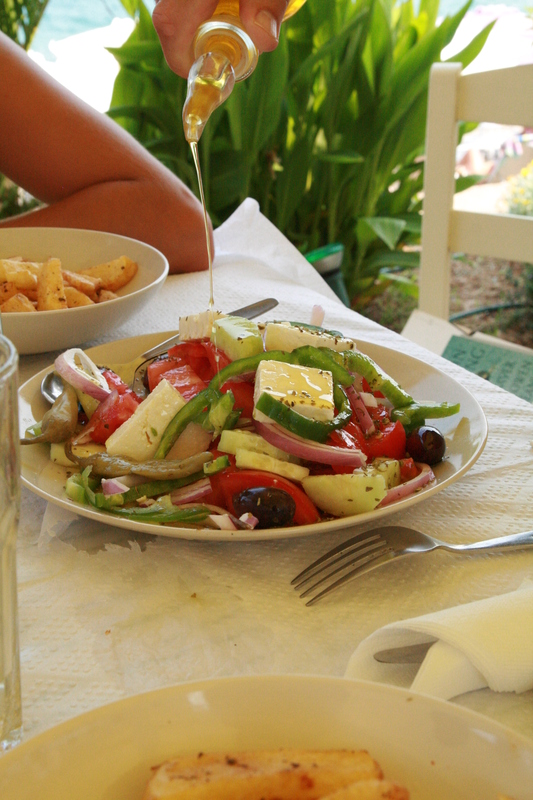 Occasionally, when in Greece, my whole extended family go out for a big lunch, but most of the time we stay in our villas and make home-made Greek salads served with huge chunks of delicious Greek bread. 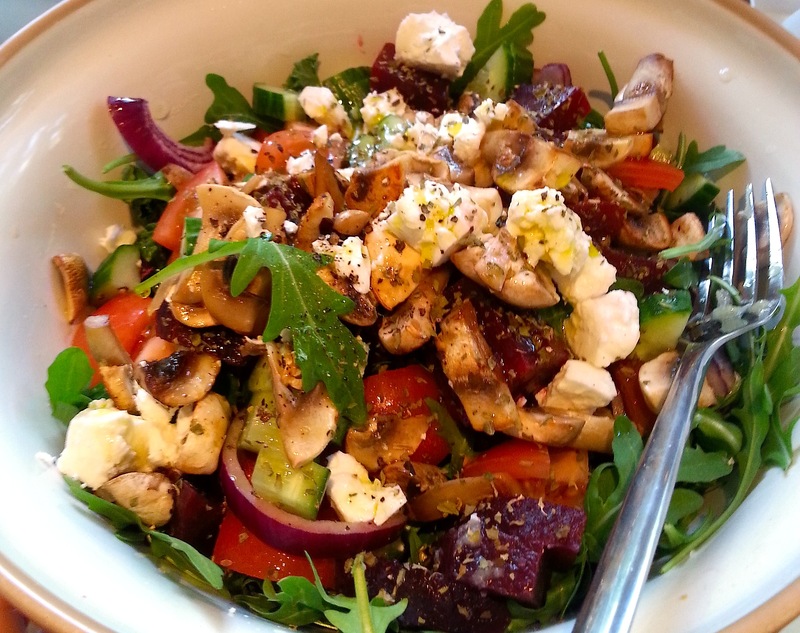 The Greek salad is one of the best examples of simplicity being best. It consists of just tomatoes, cucumber, red onion, olives and feta, doused in olive oil and vinegar, and usually with a sprinkling of oregano. It is fresh and delicious. My favourite meal of the day. This is when the meat and the tomatoes come out. 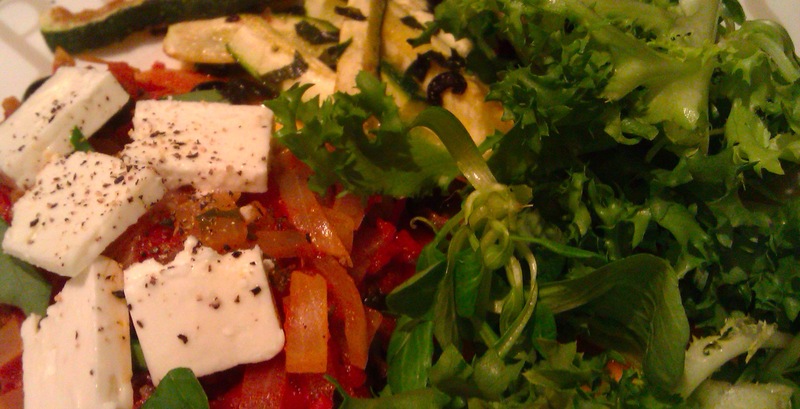 Also there are more greek salads, and also 2 of my favourite greek dishes – Gigantes and Fasolakia. Gigantes are big white beans and Fasolakia are green beans, and both are stewed for hours in olive oil and tomatoes (what did I tell you at the beginning!) 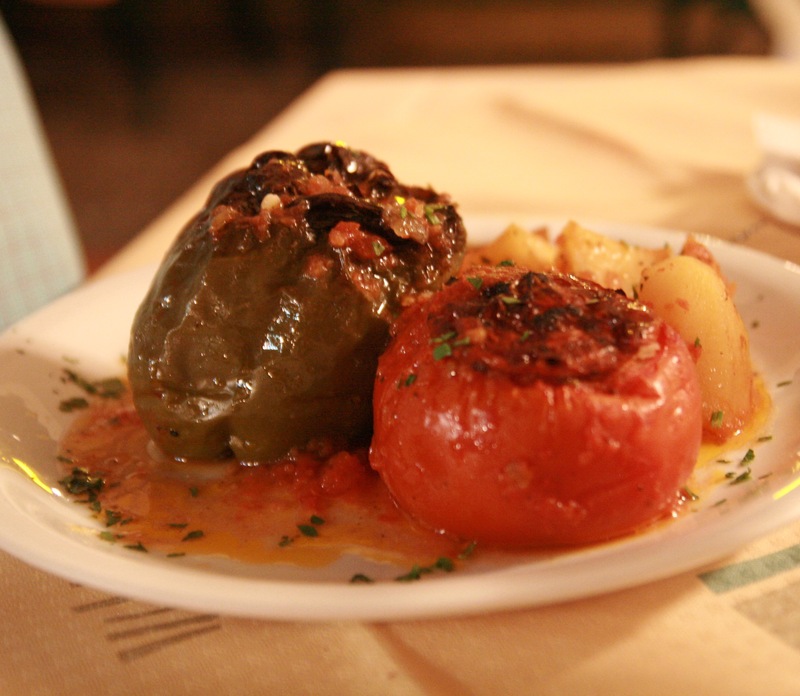 I’ll just let you stew over a few pictures of Greek cuisine now. 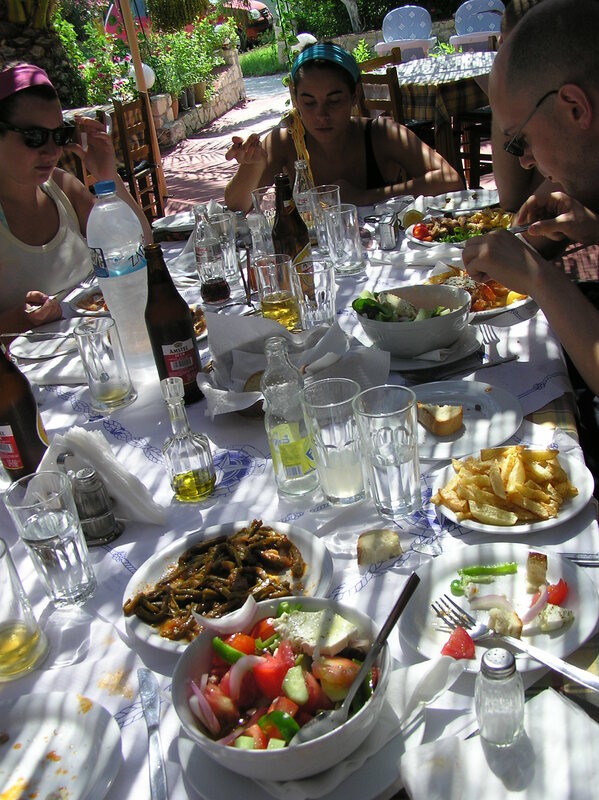 When you visit Greece be sure to try all the above dishes, as well as: Giouvetsi (lamb cooked in the oven with tomatoes and orzo pasta), Stifado (huge chunks of beef stewed in tomatoes, with that distinctive Greek nutmeggy taste), Soutzoukakia or keftedes (spicey meatballs), Pasticio (an amazing sort of lasagne-esque thing but with macaroni pasta), Kleftiko (lamb cooked in the oven until it practically falls apart), kalamari and chicken souvlaki (basically just a chicken kebab, but not just a chicken kebab – delicious with lemon juice squeezed over it). 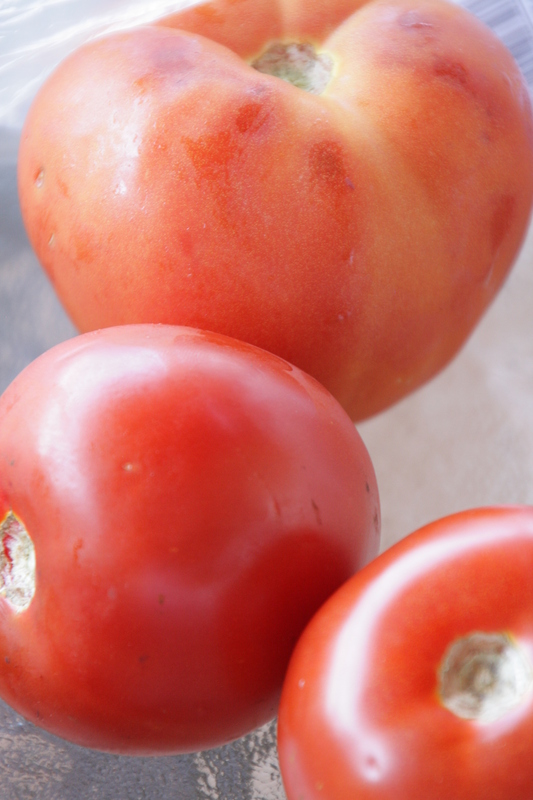 Finally I’m going to leave you with a cooking suggestion if you are ever in Greece – try making an omelette with Greek tomatoes and onions. They are so juicy that the mixture refuses to hold together and you end with an Evans family delicacy known as “eggy mush”. See below – I’m very happy to be eating it! So, let’s chat “good fats”. I going to break it down for you all, and make it mega simple first. If you eat more more of the GOOD FATS, it could help you lose weight. It will CERTAINLY not make you gain weight, and it will DEFINITELY be doing all kinds of good things for your heart and brain (which, let’s be honest, are the two key players in our clever bodies). Good fats are almost as important as eating lots of fruit and vegetables, and actually help you absorb more of the vitamins and minerals from those kind of foods. A nutritionist friend of mine once recommended that if I make a smoothie, I should just pop a few drops of olive oil in there, because it will help my body absorb all the goodness from the fruit. It makes sense… my family are part Greek, and we go to Greece every year if at all possible. When I was younger we would go for a fortnight each trip, and we would eat like kings. Lots of healthy food, but also a vast amount of bread! BREAKFAST – Melon and full-fat Greek Yogurt. Bread. 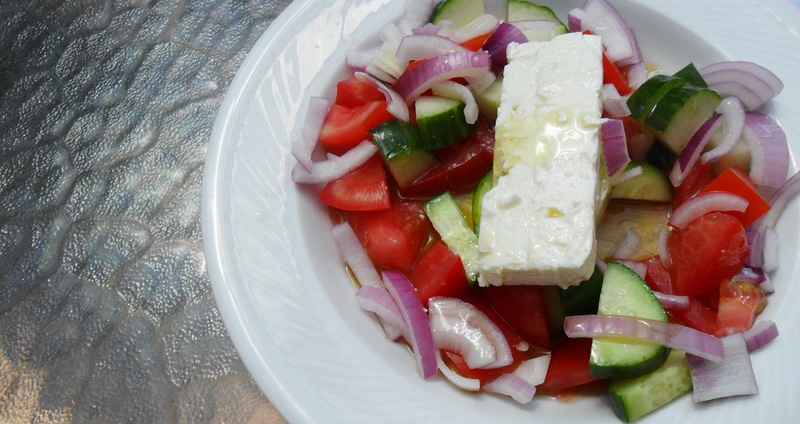 LUNCH – Greek Salad (feta, tomato, cucumber, red onion) doused in olive oil and vinegar. Bread (we’re talking about a third of a loaf each). TEA – Crisps or baclava. Bread dipped in olive oil. Wine. DINNER – Large 2 course meal, involving lots of vegetables and meat, but also lots of bread, pasta, wine and, you guessed it… olive oil. But I would always come home to England thinner than I went away. Now I admit, when I was younger my metabolism was crazy fast, but the Greeks are not a fat population, and the average Greek consumes 20 litres of olive oil a year. 20 litres! Olive oil is magic. And the Greeks have it absolutely right with the amount of fruit and vegetables they consume in their diet. Anyway, let’s move away from the Greeks and back to our homes. My favourite good fats to incorporate into life at home are olive oil, tuna, avocado, nuts and seeds. I cook everything in olive oil, I put it on my salads and I drizzle it on rye bread toast. I also have a huge tupaware tub that is full of almonds, walnuts and pumpkin seeds, which I get out while I’m working in the afternoon, just to nibble on. But I’m going to end on a new recommendation. I read an article the other day on coconut oil. The coconut is the new hot property of the nutritional world – coconut water has been proven to have all kinds of advantageous effects, and now coconut oil is getting the same attention. The main thing though is that it is damn tasty! Chop up some turkey, an onion and some spinach, and fry them in coconut oil, with some cranberries or raisins or chopped up plum. It’s a simple meal that tastes divine. And it’s guilt free. Pictures above: Tupaware of nuts, and turkey meal with cranberries.